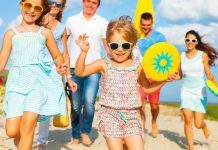 In case you never practiced camping activities, but you don’t mind trying them sometime, there are things that you need to consider very carefully. Perhaps camping looks very good for anyone that would want to enjoy it, but unfortunately this isn’t so. 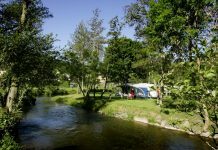 There are different types of camping and you can find your right one, if you just think how you feel about most of the camping activities. 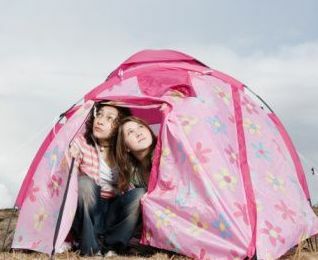 For instance, as part of the camping practice, sleeping in a tent is a must. 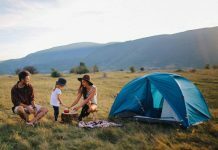 In case you would enjoy it and you don’t feel frightened about the noise, uncomfortable areas or the insects, you can go camping anytime you want, but if you feel disturbed by the idea of sleeping in the nature, go for camping only during the day. 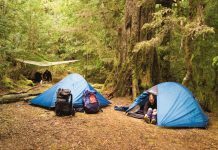 Setting up the tent is also an issue, especially for people that never practice any camping activity. Try to set up a tent at home and see how many hours it will take you. If you cannot do it by yourself, don’t worry. Nowadays the market is full with camping gears and easy to set-up tents. Practice at home and you will have the result you expect. 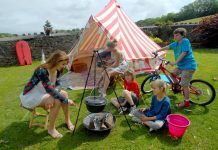 Most of the people that don’t want to set up tents simply should go to visit special camping villages, where the tents are set up, as well as most of the camping gear. Building the camping fire is also a problem for many people. In case you don’t know how and you don’t feel like you can do it, camping surely isn’t for you, but if you try to build it, there is always a box of matches to help you out. Don’t forget that campfire is one of the biggest pleasures and it is absolutely necessary, especially in places with cold temperatures, so ask yourself whether you can maintain it or you wouldn’t be able to make it. Campfire is also important for preparing your food, so you should think well before camping. Hiking trails and good orientating are perhaps the most important part of the camping life. The questions you need to ask about is how to orientate without being lost and moreover, whether or not you able to follow trails, which are far from your area. This is also an issue that requires physical shape and discipline, so if you are not a fan of those kinds of sports, simply don’t go for it. One day camping is also good, so you can enjoy it without thinking about the risk of being lost.